Our Custom Light Duty and Heavy Duty Banner Stand Shipping Cases will make transporting your banner stands a breeze! 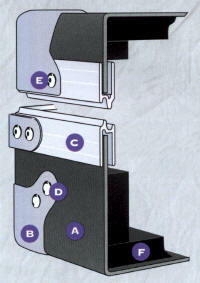 Built to your specifications and requirements, each case can fit up to 3 Banner Stands, depending on size ans weight. Most Banner Styles accepted; 24" - 48" widths, and larger. Tilt wheels and handles are included. Light Duty cases are made of tough, .098 ABS plastic thermoformed to shape without wood. While extremely rugged and durable, they are much lighter in weight. 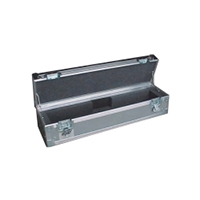 Light duty cases are especially suited for hand carrying and shipping under most normal conditions. We also offer Heavy Duty Cases for very heavy Banner equipment, or if transporting more stands at once is required. Cases are shippable via Fedex or UPS. Click Here to request a free quote for a Banner Stand Case! Free quotes to your specifications! *We will need your banner stand dimensions, the quantity per case, and the number of cases required.